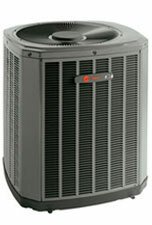 Trane offers the highest efficiency air conditioner available today. Trane manufactures a full line of air conditioners, ranging in SEER (Seasonal Energy Efficiency Ratio) from 10.0 to over 19.5. With a SEER rating of up to 19.50, the XL19i offers the unbeatable combination of energy efficiency and lower operating costs. The XL19i has dual compressors that allow for two-stage cooling. 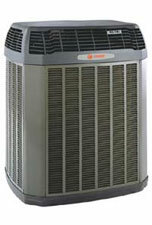 Trane has the industry leading 10-year limited warranty on both compressors, the unique Spine Fin outdoor coil and all functional parts. Call us today for a quote on a new energy efficient system for your home.